Matt Chanway is an instrumental guitar player and lead guitarist for western Canada’s old-school death/thrash metal act, Assimilation. 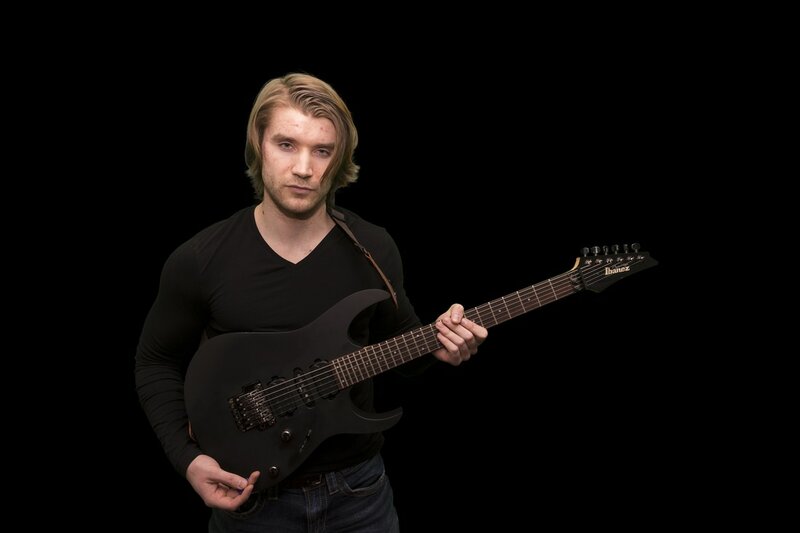 Matt independently released an eponymous debut album in December 2016, offering some fresh, unique compositions and fiery guitar playing to the progressive metal genre. These compositions bridge the gap between old-school and modern progressive rock and metal, and feature upbeat, crunchy riffs, soaring melodies, and tasteful, articulate leads. In addition, Matt also appears on the highly anticipated debut full-length album from Assimilation, “The Laws of Power”, to be released for worldwide distribution in March 2017. This record is a crushing mix of brutal old-school death metal with hints of thrash, and plenty of scorching leads. Matt is influenced by countless great musicians, but thanks Jeff Loomis, Chris Broderick, Michael Romeo, George Lynch, Marco Sfogli and Greg Howe for their constant inspiration over the years. Matt holds a diploma in guitar performance through the University of West London and is also a guitar instructor in his hometown of Vancouver BC.